This is one of the most tasty versions of stuffed chicken breasts I’ve tried. 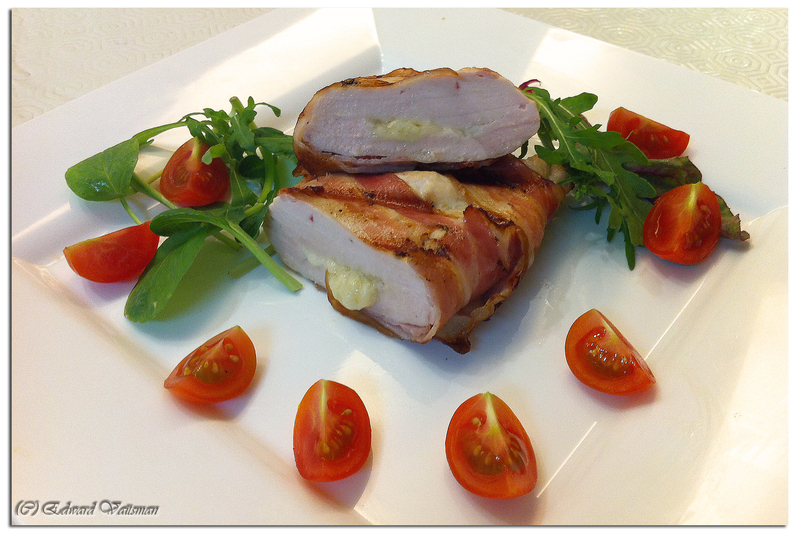 There is something in the combination of the chicken breast meat with cheese and bacon, that takes this dish one extra level higher. What’s even better – it is one of the simplest dishes as well! First, make a deep pocket in each chicken breast half to accommodate the stuffing. Then, in a bowl, mix the grated cheeses together with your fingers. Grill it on medium heat, about 7-9 minutes per side, until completely cooked through. Then – let rest for 5 minutes, covered loosely with foil and serve. This entry was posted in Meat, Poultry and tagged bacon, breast, cheese, chicken, easy, grill, grilled, grilling, gruyere, mozzarella, stuffed.